Yesterday was World Thinking Day, which is celebrated by Scouts and Guides. 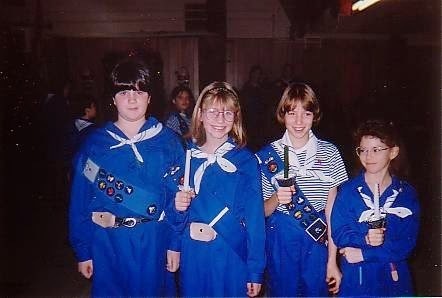 I was a Brownie and a Guide when I was growing up and Dave was a Beaver and Scout. I think his dad was even one of their leaders. We will likely sign E up when he is old enough. 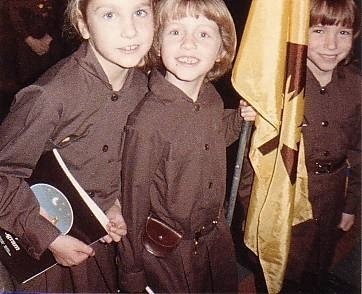 I have fond memories of Brownies and Guides - and it really is a place where you can become so well rounded. It's not just sports, music, crafts, or camping, it's everything. A scout troop meets at our church during the week so they attended the service on Sunday and we recognized Thinking Day. I remember wearing my uniform to school if Thinking Day fell on a weekday, we thought this was so special. 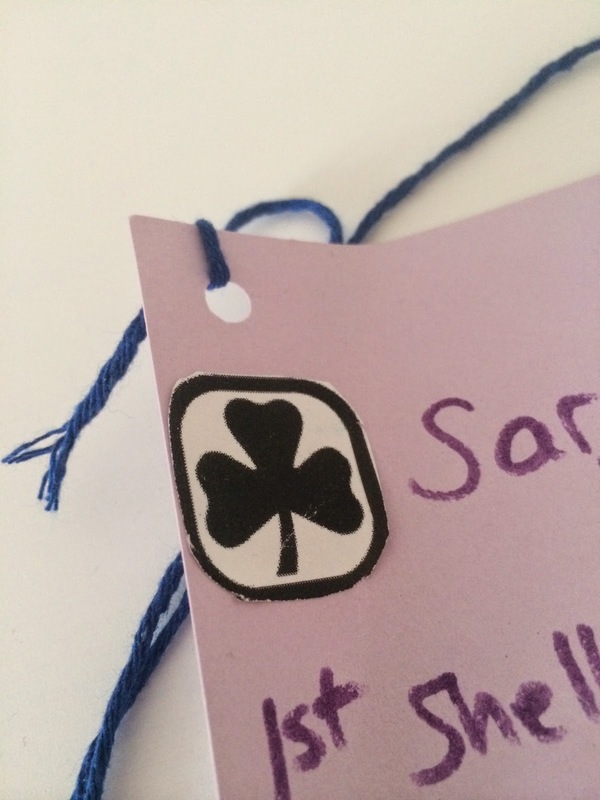 They asked everyone who had been in Scouts or Guides to stand up, and then we got to make a name tag and write our troop on it. This was the night we "flew up" (I think that's what it was called, I can't remember). Our uniforms were soon full of badges, crests, and pins. Since we are holding candles, this is probably the equivalent ceremony for Guides.